15 November 2018 – Life Is Such A Sweet Insanity. Other than your friendly United attendant stating that he or she doesn’t accept cash, I was unaware of “cashless restaurants”, even here in the third largest city in the United States. Interesting concept, but I can see how it would create problems for those who use only cash. I found this article very, very interesting. Facebook is not on some quest to do good in the world. Facebook has one priority: make money. Your data is their product. And anyone that thinks Sheryl Sandberg or Mark Zuckerberg should run for president is out of their minds. Please visit the NY Times site to read this article at this link: https://www.nytimes.com/2018/11/14/technology/facebook-data-russia-election-racism.html. I have replicated the article below. 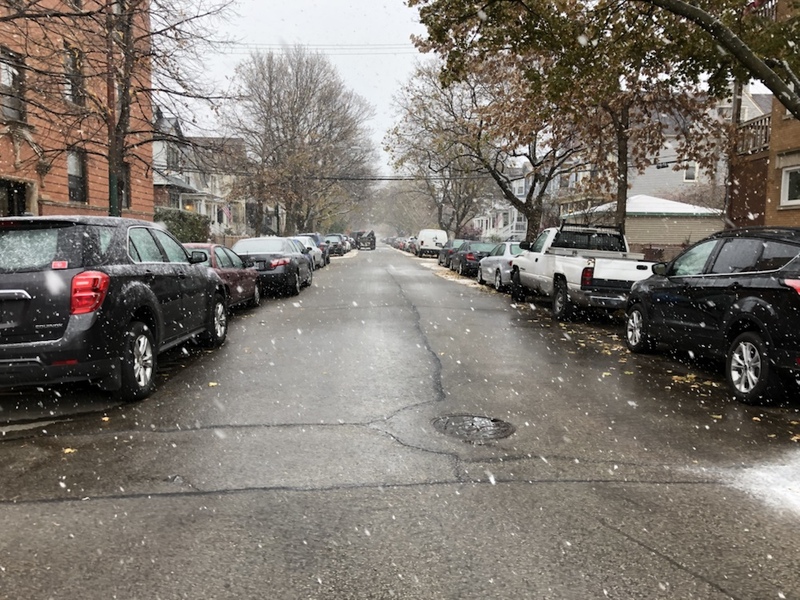 It is snowing here in Chicago and honestly, I’m a bit delighted about it.